Have tried many multivitamins over the years. None have come close to Women's Complete. Feel 100% better!!! Wish I had started taking it 10 years ago. Thanks, Andrew, for such a fabulous product! I like these vitamins. They are easily digested in my stomach and don't sit there like a large hard tablet would. I knew that I needed minerals and vitamin B's in my diet because I was tired, sluggish, not enough strength. Now my heart and brain have what is needed for nutrition. I don't get an artificial surging buzz that overwhelms my thinking or physical abilities. These vitamins have what my body needs with out all the bells and whistles of other supplements that might be way too over the top for me. I can actually sleep if I want to at bedtime with these vitamins because they do not overstimulate my system and brain If I feel like adding another supplement of my choice like, Andrews Green Vitamins, the fruit antioxidants or omegas to these vitamins I can, and I like that. The Women's Complete make me a happy customer. I've been taking the Complete supplements for the past two years. These vitamins have all of the nutrients I need and I do feel better and more energized after taking them. I also like the convenience of the grab and go packets. Thank you Andrew for creating such a high quality vitamin! This is a great supplement. I love the purple packs they come in. I spread mine out over the day, as I usually take one or two with breakfast, one or two with lunch, and one or two with Dinner. I can sneak whatever remains in with a snack. I never take all five at once. I also like to alternate this with your Essential One, as I get your Calcium/Magnesium also as a separate. So taking all that feels very complete to me. Best on the market. I take many of your supplements with great success. Thank you for the high quality products. I have no problems with the E at all. I don't understand why some people have a problem. Andrew's supplements are the best, top of line that you can buy. Supplements are something I've educated myself about, and I can tell you he knows what he's talking about. There is a lot of information out there that he can't tell you because of the FDA. It would be considered a drug claim, and they would shut him down. I am 58 years old, and I take NO drugs. I take many of Andrew's supplements. If you don't have your health, you have nothing at all. Andrew's Multivitamins are the best you can buy. Although I can't take the amount of vitamin E that is in the packet, I still buy them because they are the most comprehensive Multivitamin around. I do take a lower potency vitamin E with it and works out good with Andrew's multivitamin. Andrew keep the good work up. All of Andrew's vitamins are the best! I've been taking this multivitamin for several months now and I'm glad I decided to try it. At first, I thought the Vitamin E would be hard to swallow, but it's not (thanks Andrew for making it smaller). ... I eat right and exercise, but taking this everyday just completes everything. Now I really feel like I'm doing all I can to take care of my body. If you don't take another product, try the multivitamin for yourself and Andrew didn't pay me to say that! (smile). I just finished taking my 30 day multi and I love them. At first I wasn't sure I'd be able to swallow the Vitamin E capsules because I thought they'd be too big, but one day I decided to give it a try... All the capsules were easy to swallow and nothing upset my stomach. I took them throughout the day after every meal. Thank you Andrew for making the E capsules smaller... I'm ordering more soon. Again, thank you Andrew! Thanks, Andrew, for reformulating this. I've been using the Women's Essential for a couple of years now...and always just threw away the Vitamin E liquid capsule because it made me sick to my stomach (it didn't matter what time of day I took it...full stomach, empty stomach, etc.). I never complained because it was still a high quality product and a tremendous value. However, with this reformulation, I can now take the Vitamin E capsule and it doesn't upset my stomach. I'm not sure what prompted the change to the product (maybe others complained of upset stomach? ), but it definitely works for me! The only multivitamin to make a difference!!! 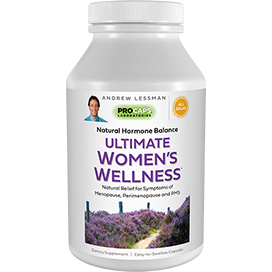 I've tried many brands of multivitamins over the years and none made a noticeable difference in the way I felt until Essential Life for Women. I've been taking these for almost two years and, almost from the beginning, noticed a significant difference in my energy level and overall health. I get sick much less and recover more quickly. I cannot imagine being without this product!! I have been taking these vitamins for over 8 years and love them. I used to spend a lot more on vitamins from a popular vitamin store and the pills looked like horse pills that made me sick to my stomach. These vitamins are gentle on my stomach and give me the energy I need to keep me going. When I forget to take them at times my body reminds me as I start to feel fatigued. 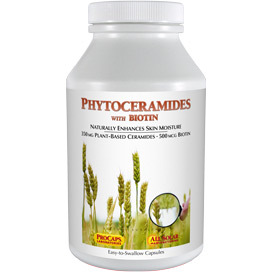 I recommended this product to my friends and recommend it to anyone else. I have an auto immune disease. I was always tired and needed extra energy for the day. I decided what have I got to lose, so I ordered Essential Life for Women. I would drive home and just feel done for the day, yet I had to drag myself through the chores that were waiting at home. Within a week I gained back all my energy plus more. It's strange when I go to bed that I still don't feel tired, but I know my body needs the rest. Getting back my energy has been such a blessing. You owe it to yourself to give it a try!!! I take Essential Life Rx every single day, and feel great. Also, I feel that any other vitamin I take works even better because of it. You don't know what you're missing until you take this product. 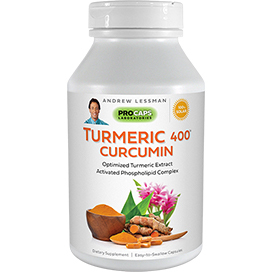 I love all of Andrew Lessman's products they are real feel the difference porducts. I feel better and look better when taking them. I love how they are delivered and have almost everyone created. After saying that the only negative thing I have to say is that I wished he would not use the synthetic form of B12. I would love the products more if he would incorporate the natural form of B12 in his vitamin line. I take this vitamin religiously and it does give me a lot of energy! My only complaint is that something in the packet constipates me...I am wondering if it might be the material that the capsules are made from! I have just recently started taking these vitamins. They seem to be very good and I do actually feel more energized taking them.... however, oh my gosh they stink!!! I actually hold my breath while I open the pack and take them because if I let myself smell them, I will gag every time. Again, I am not going to stop taking them, but am hoping that something might be able to be done to help the odor!! If you are highly sensitive to smells, reconsider. I love these vitamins. I have the most sensitive stomach on the planet and I have no problems with taking these capsules (all 5 at once) as long as I do so with a meal. No bloating or gas. I feel good all day when I take them, and can tell a difference in my energy level and clarity of mind. I can tell when I don't take them too! I keep "trying out" other multi vitamins, even the softgel kinds and always get an upset stomach. I always come back to these. There is plenty of Vitamin C and that's a plus. Sometimes I buy extra Calcium (from ProCaps) and take them later in the day, since we can only absorb about 400 - 500 mg. at one time. Women my age need at least 1,000 mg. daily. I do wish it had more magnesium though, and citrate rather than oxide. Thanks Andrew and ProCaps for all your wonderful products. Fantastic ingredients, one problem for me. 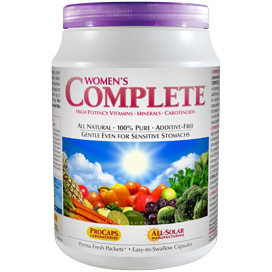 I think that all of the supplements on here are superior to almost any other. There is only one problem that I have and that is with digesting the capsules. I do not think that these capsules dissolve well in my stomach. I have tried everything. I always take them with a meal (including some fat). My stomach seems to get very large after taking them, and I fear that I have some kind of problem with the capsule material. I get totally bloated. Thus, I have to open all of the capsules, and try to mix them with juice. This is not an easy task, and they do not taste very good. Will there ever be a softer easier dissolvable capsule to make this a bit easier to ingest for those of us who have some trouble with our digestion? I wish that there some other options like liquids or another method that would be easier for me. It is a pain to open all the capsules every day. I have mixed emotions with these. I feel more energy throughout the day. I no longer require my usual 5 cups of coffee. :) However, even after eating a full meal, I get the worst stomach ache after taking them. No more than 10 minutes after taking them I feel a very strong urge to vomit. I usually have to eat something again after taking them. 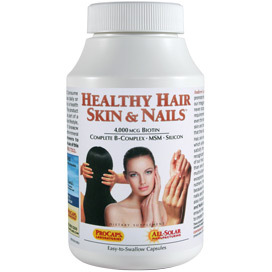 I take these along with the Healthy Hair, Skin and Nails. I don't know what the cause is? Overall, I do enjoy them. Love these vitamins and can feel the difference when I forget to take them. 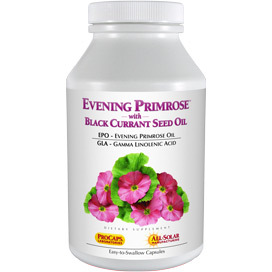 The vitamin E capsule upsets my stomach and causes severe abdominal cramping, with or without food. I end up throwing the vitamin E away and taking the other 4 capsules. Since there is so much complaining about the Vitamin E capsule why can't ProCaps make a non Vitamin E formula of their multi-vitamins? Those who like the vitamin E could purchase it separately and then the rest of us could benefit from our purchase without having to discard one of the capsules. I feel ripped off that I am paying for something that I am throwing away. This is why I will not buy the higher end products which contain oil capsules. I would not know which to toss and may end up tossing more than the Vitamin E. I wonder if Andrew ever reads these reviews since people have been complaining about the Vitamin E for years and yet this issue has not been addressed by the company. All I ever hear is to take it with food. That does not help for me since I have tried that. I think that a lot of people are just sensitive to the Vitamin E so it should be offered as a separate supplement and not included in the multi-vitamin. IMHO only. I have been taking Andrew's multi vitamins since 1996 - first as a Home Shopping Network customer and then switching over to Pro Caps Labs directly about a year ago. Technically, I have been taking these supplements for 12 years. I feel fantastic and energized and would not go a day without these vitamins. There are only a few ingredients that I wish would be included in this formula (and I would be more than wiling to pay extra to have them added in). Bring the Calcium up from 60% to 100%, add Potassium, Iron and Vitamin K. This formula is a winner!!! This is a great multi-vitamin...especially when you consider what you are getting for the very affordable price that you are paying. The only reason I didn't give this a 5-star rating is because the vitamin E liquid capsule upsets my stomach (I know that it's this capsule specifically because when I leave it out, I feel fine). However, I still purchase this multi because of its high nutritional value. I probably took Andrew's vitamins for 15 years. When I began to suffer from symptoms, I got an advanced micronutrient test done that revealed I was deficient in Chromium, Copper and Q10. All serious deficiencies! How is that possible when the levels are so great in these vitamins? I think the high Zinc through off my copper levels for a start.